WEDNESDAY, April 25 (HealthDay News) — Aromatherapy is beginning to enter the medical mainstream, with groups as diverse as the American Cancer Society and the U.S. Department of Veterans Affairs touting the use of fragrance as a therapy that can complement traditional health care. There’s little evidence to suggest that aromatherapy can directly cure illness, but research has found it can help reduce a wide range of symptoms and side effects in some people. Aromatherapy involves the use of what are called essential oils, which are very potent distillations of the fragrant portions of plant life such as flowers, roots and bark, said Dr. Hal Blatman, medical director of the Blatman Pain Clinic in Cincinnati and a past president of the American Holistic Medical Association. These oils are either applied topically to the body, through a cream or a soaking bath, for instance, or are inhaled after they’ve been diffused into the air in a room, Meulman explained. Researchers believe that the oils trigger smell receptors in the nose, prompting the transmission of chemical messages along nerve pathways to the brain’s limbic system, Blatman said. The limbic system is a part of the brain closely associated with moods and emotion. Lavender and rosemary oil are suggested for relieving muscle tension and anxiety. Peppermint and ginger oil may relieve nausea and help perk up a fatigued person. Eucalyptus oil is considered helpful in treating respiratory ailments — something known by the legions of kids who’ve had Vicks VapoRub smoothed onto their chest. The oils also can be layered on to get a combination of effects, Blatman said. The potential plusses of aromatherapy, however, come with possible drawbacks, too. For instance, people who decide to pursue aromatherapy on their own need to be careful because the essential oils used are very strong, Meulman and Blatman said. The oils can cause an allergic reaction when touched or inhaled and can prompt an asthma attack in some people. The quality of essential oils also can change over time. People also should be aware that the oils can have an internal effect even if applied to the skin. For these reasons and others, Meulman and her association recommend that people interested in aromatherapy consult with a professional aromatherapist. 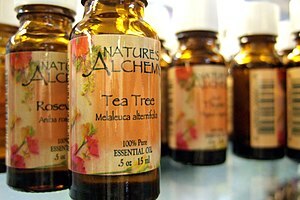 The National Association for Holistic Aromatherapy has more on aromatherapy. Aromatherapy: More Than Just a Pleasant Scent? – US News and World Report. * I am always growing and changing... * Always searching for knowledge... * With every lesson I acquire, I realize knowledge is freedom... * The more you learn about other cultures, other beliefs... * The less you judge and distrust... * Then as you accept the freedom of acceptance... * One encounters LOVE and APPRECIATION for every soul one encounters on their life journey. Posted on June 10, 2012, in Health and wellness and tagged Aromatherapy, Health, Lavender. Bookmark the permalink. 2 Comments. Important article, Thanks for share it! Good news! Mankind will greatly benefit from modern medicine and natual cures joining forces. Lim Shi-NéeMay I know around how long does it takes to dry??? And what color acrylic paint did you use?? laurie27wsmithThanks for re-blogging my post. Cheers Laurie. change it up editingThanks for sharing my post! Eddie Two Hawksit is so very grand to see the light of love coming through! RupeshVery useful posts. Nice blog. Thanks. Lori Ann Lothian (@LoriAnnLothian)thank you for the reblog! Catherine JohnsonEvery detail of that picture is so cute! This is drawing of the Week! Posting the best drawings on the web! Drawings are not made by me!